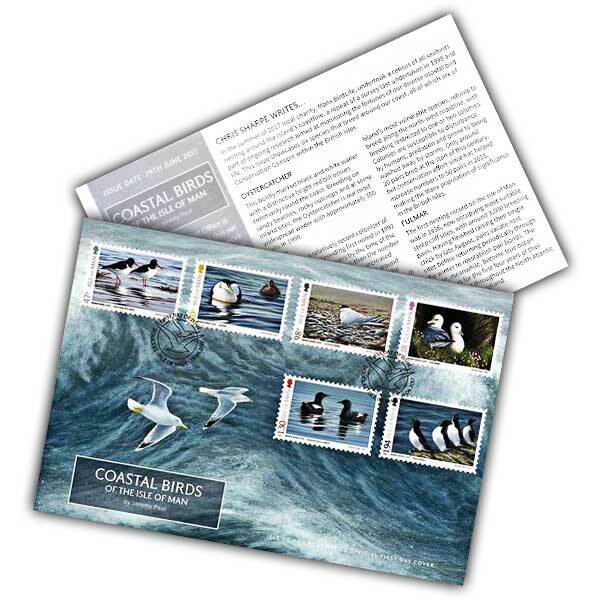 The complete set (47p, 80p, 98p, ₤1.18, ₤1.30, ₤1.94) of Coastal Birds of the Isle of Man by Jeremy Paul is shown splendidly on this ornamental envelope. 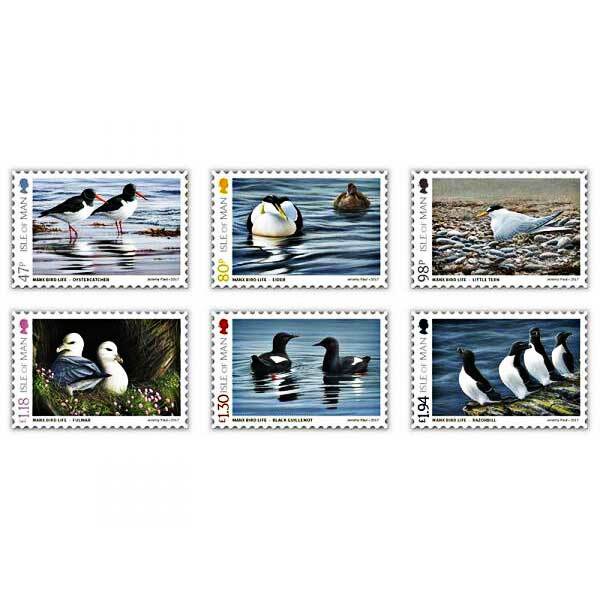 The stamps are cancelled with a special postmark dated for the very first day of concern. This delightful collectable is finished by a filler card with text composed by Chris Sharpe, offering insight in to Manx Birdlife, the birds included and the artist Jeremy Paul.